5.0 out of 5 starsOffers lots of fun even if you've played on PC before. Switch control is intuitive & easy! Love it! Played on PC version previously, never thought this still can be so much fun on the Switch version... Control is fantastic with the button layout! Having lots of fun with different game modes. Offline is great for local multi plauers and Online play (Nintendo subscription req'd) offers a whole new world to play with upto 4 friends... Love it even more so than when it was on the PC! Thumb up to the studio for the excellent port and continuous improvements! 5.0 out of 5 starsSlaying Hell's minions anywhere is most satisfying. Hadn't played D3 for years, but being able to play in the Switch brought me back, and I love it! It's come a long way since release, and being able to play from hibernation without even waiting for the internet to connect is awesome. 5.0 out of 5 starsHappy customer. Have this game on PC, PS4, XB1, and now Switch. Very awesome. Purchased at a great price. 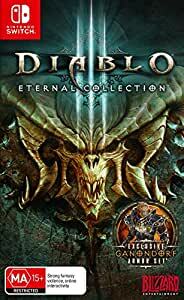 Great game that definitely brings back the nostalgia from the first Diablo games. You can also play with friends using multiple controllers on the one system! One of the greatest PC franchises is now portable and being able to play on the go is purely awesome. A must for mature Nintendo Switch owners. 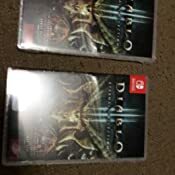 I hadn’t played Diablo 3 for years, but the Switch version has reignited my love for the game. Such a great game to play portable, with no slowdown etc. Loving it!